Did the RSPCA WA spend $1.6 million on fundraising and make a loss? David van Ooran, RSPCA WA CEO. The RSPCA WA had lobbied hard for the new cat laws in the state. It was happy to take hundreds of thousands of the community's dollars in support of same, thanks to $250,000 support from the community and a $420,000 grant from the state government. ... 421 cat adoptions in 2015/16! and this current 2016/17 year? The total number of cats processed by the RSPCA WA in 2016/17 was 824. Making the kill rate somewhere around 25%, and absolutely staggering for a low-volume shelter. And almost unbelievably, this number includes animals "rehomed in Albany" - which is an auxiliary branch that doesn't even feature on Adoptapet and is run entirely by a team of volunteers. The organisation promised in return for our investment thousands of cats would benefit each year. Adoptions would runeth over! Instead, this state-of-the-art resource is wasted, while community groups burn out trying to pick up the slack. And almost unbelievably, even less dogs were processed by the organisation with just 782 dogs for the year (again, including Albany) and just 379 dog adoptions. But how much does it cost the community to reach these staggering heights of meh? Nearly $1 million dollars goes directly to caring for animals. 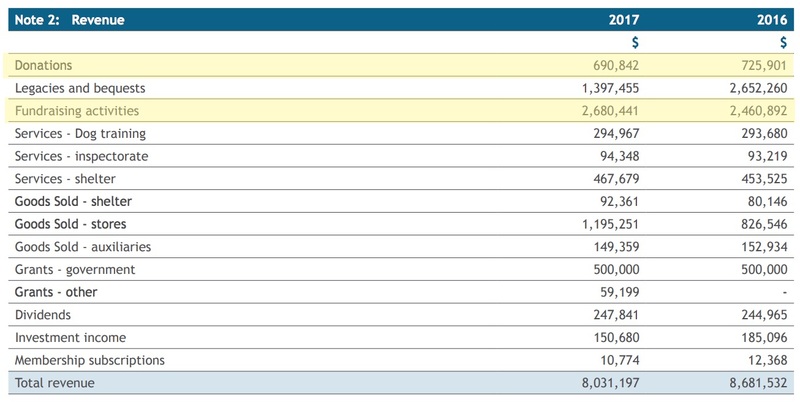 Over $1 million dollars goes into "Administrative costs". While $1.6 million dollars went into "Fundraising costs" - up from $374k the previous year. But why the huge jump in fundraising spend? The year also saw RSPCA WA launch our largest ever fundraising campaign. 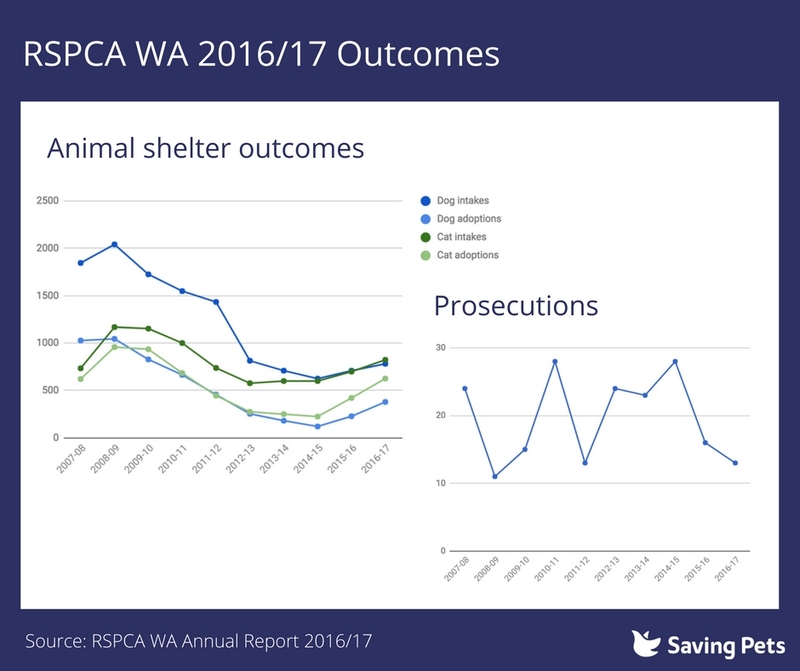 The considerable investment in the 20for20 Appeal was the first step to extending the reach of RSPCA WA across the state, to put more Inspectors on the roads and to build the support needed to ensure the growth of the organisation is sustainable in the long term. And did this spend pay off for the organisation? Now the breakdown on 'Revenue'. Despite spending $1.6 million dollars on the community's animal welfare money on fundraising, donations went down. While the combined total of donations and fundraising activities (MPW, Cupcake Day etc) climbed just $200k or so ($3,371,283 up from $3,186,793). In fact, the only real windfall highlight for the year, was from the sale of an asset; $2,282,910 from the sale of the RSPCA Palmyra Op-Shop, which was sold to developers. When groups ask for money to do one thing, then don't follow through, then the public have the right to become skeptical. The RSPCA WA, despite a huge infrastructure investment in cat welfare, three years on still don't match many volunteer-run foster care groups, for numbers of cat adoptions. On Monday 8 May, RSPCA WA will launch the biggest appeal of its 125 year history, asking every household in Western Australia to help put more Animal Welfare Inspectors on WA roads. Aptly named ‘20for20’ – the appeal will call on every West Australian to chip in $20 to increase the number of RSPCA Inspectors across the State to twenty; almost double the current number of Inspectors covering the whole of WA. However, those same inspectors brought in to the RSPCA WA Malaga shelter Braveheart, who would end up dead. And 'Bulletproof' Bob, who would end up dead. And Roxy, who would be treated in an almost unimaginably inhumane fashion, before being moved out of the state, outcome uncertain. And more currently, Lucy, who would end up dead. And so when the community is asked - hey, do you want to support us in our operations? - how can anyone be shocked when the community responds with a thanks, but no thanks. But will the government throw good money after bad, by honouring their election promise to gift the RSPCA WA further infrastructure? For our organisation this meant significant pre-election pledges of support from both the WA Liberal Party and WA Labor. The WA Liberal Party promised $1.5 million in new funding for RSPCA WA to upgrade and create new animal care facilities at Malaga and land for a new centre south of Perth was included. WA Labor pledged land and $2 million towards a new RSPCA Animal Care Centre in Perth’s southern corridor... The election produced a win for the WA Labor Party and we are looking forward to seeing its promises become reality. 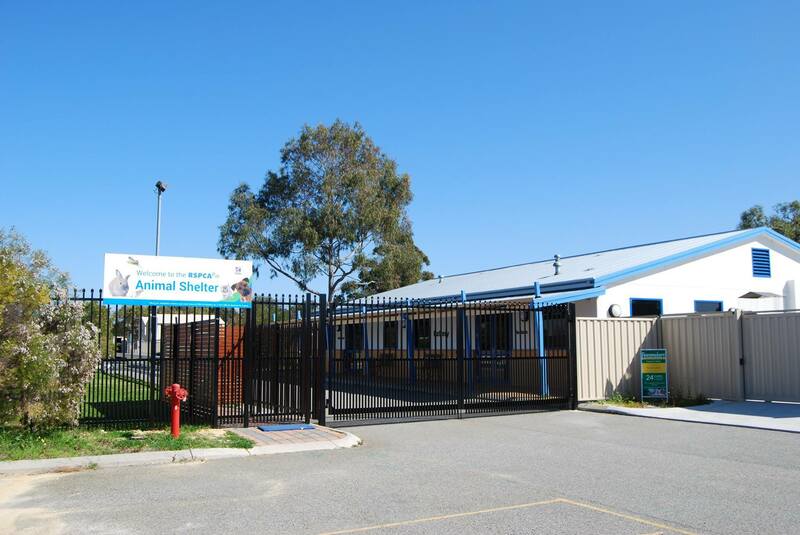 $1.5 million to continue to refurbish a shelter which barely processes 2,000 pets a year - while also gifting the resources to build the RSPCA a multi-million dollar facility in the South. At some point the RSPCA need to be held accountable for their poor performance. Not simply gifted more money, when there are so many worthy, animal charity groups in the community working several magnitude more effectively, more efficiently and at a fraction of the cost of the RSPCA. See also: Where does the money go? No really - where does it go? 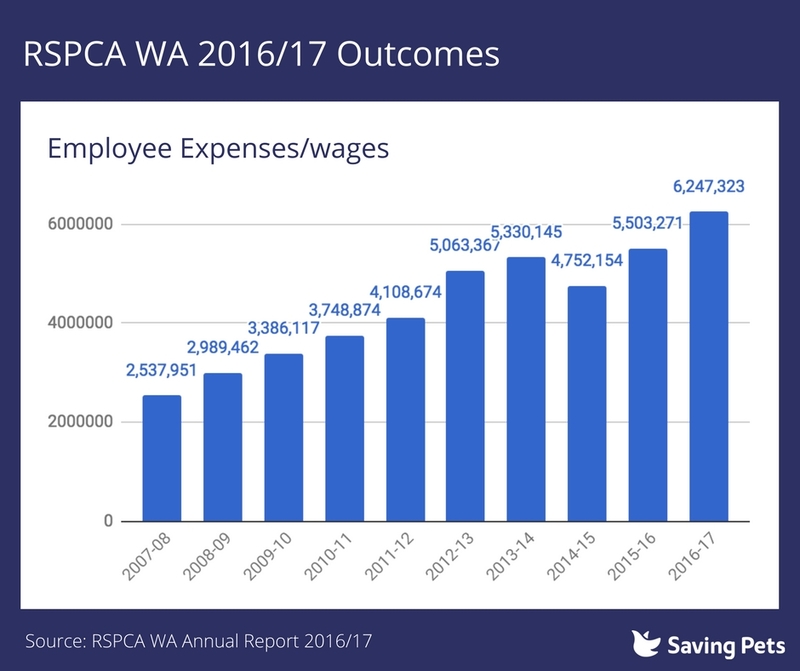 Wages at the RSPCA WA have increased from $5 million in 2013, to over $6 million in 2017, and have doubled in just ten years. But does the community get a good return on this investment? In 2008, the organisation processed over 2,000 dogs. This current financial year this number has dropped to under 800. Despite a huge investment by the community in 2015 - building the organisation a new cattery - only 800ish cats were processed this financial year, with just 600ish finding homes. But! Prosecutions; the RSPCA is enforcing the laws, so that's where the money goes. However, prosecutions seem to be at a record low, with just 13 for the year. There is a solid case here for disclosure of executive salaries, since there doesn't seem to be boots-on-the-ground investment being made at the RSPCA WA.